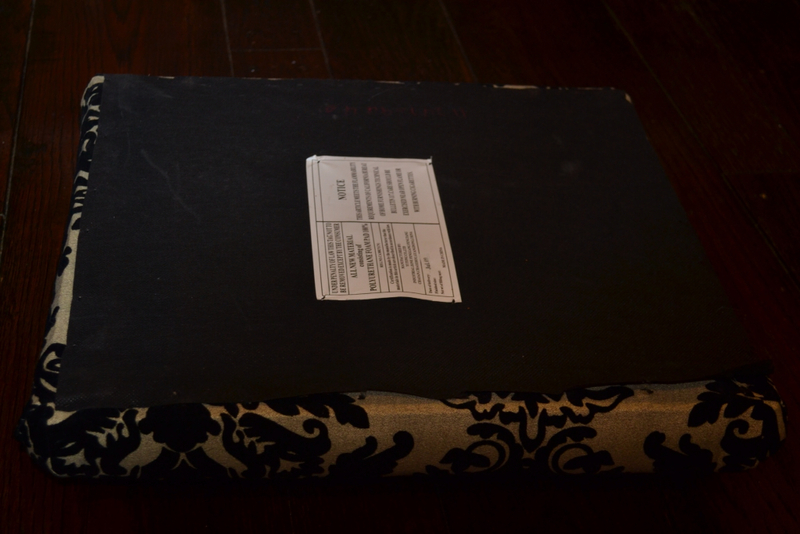 This was my warm up project for reupholstering two tufted ottomans. I am still working on the ottomans, but will post them later. 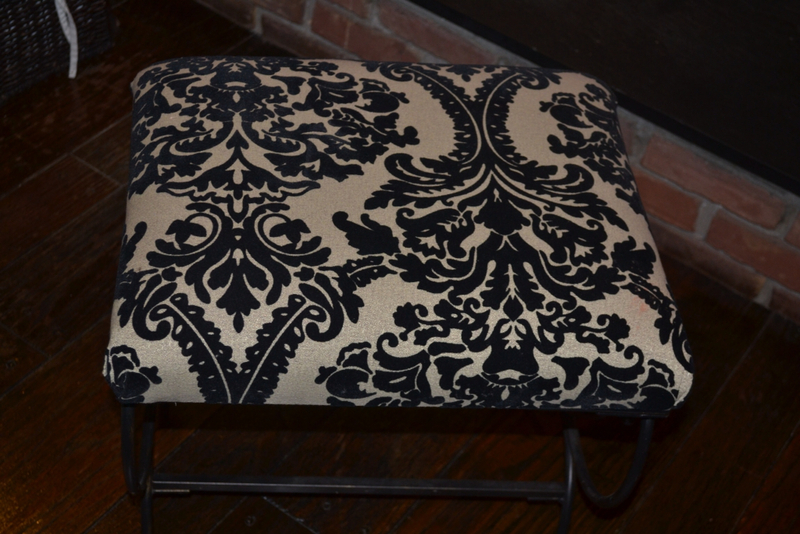 Here is a picture of the foot stool prior to changing the fabric. It wasn't bad at all, but wasn't my style and didn't quite go with the decor. 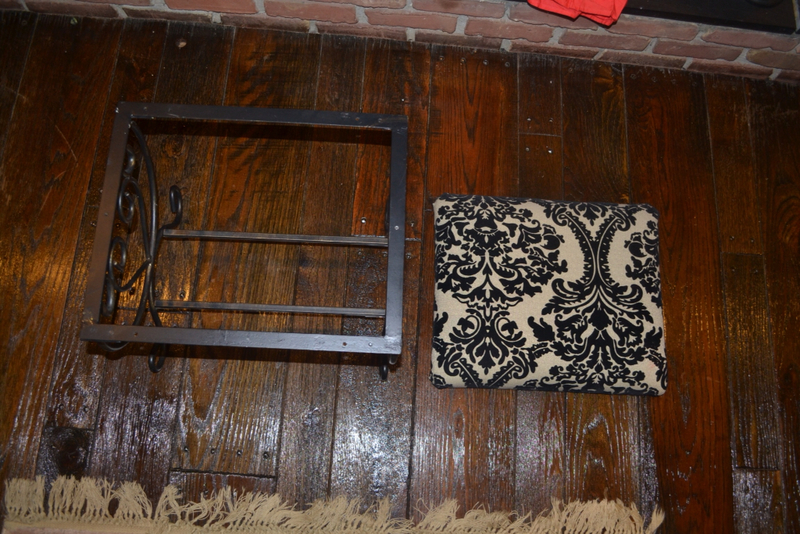 Here is an after picture of the foot stool. Changing the fabric on a foot stool like this is the same as if you were to change the fabric on a kitchen or dining room chair. You first take out the screws from the bottom that are holding the seat pad onto the frame. You then can either take the old fabric off and use it as a guideline/pattern for the new amount of fabric you will need or you can leave it on like I did and just place the seat pad upside down on your fabric and cut what you need by adding 5-6 inches of fabric from each edge of the pad. I laid the seat pad upside down on the wrong side of the fabric and cut out what I needed of the new fabric by adding a few inches on all sides. After cutting you fabric, turn it so that the wrong side is facing up. 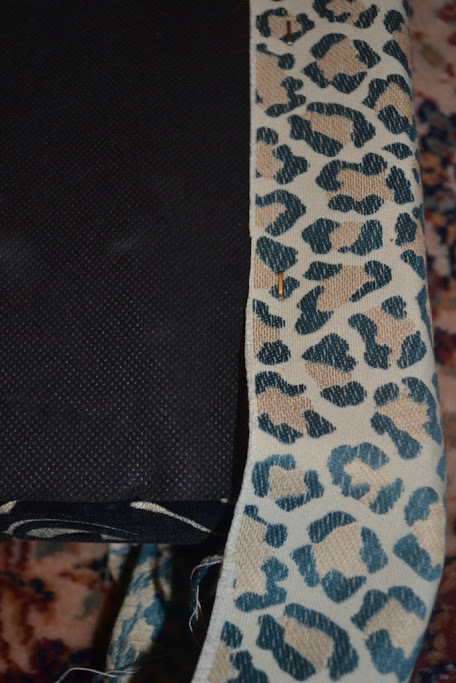 Place your seat pad right side down on the fabric and pull the fabric up around the sides so it is taught. 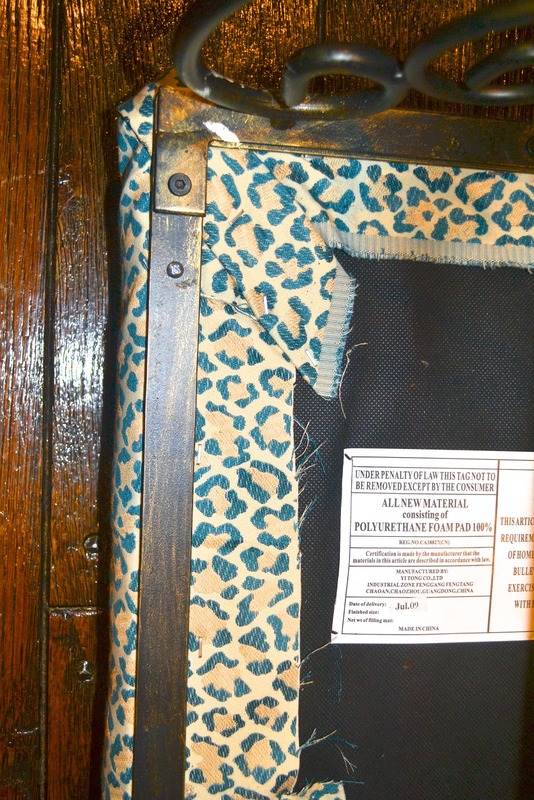 Use a staple gun to staple the fabric to the underside of the seat. I started with one staple on one of the long sides. I then pulled the fabric taught and stapled one more staple on the other long side (the opposite side). Place one to two staples per side and then go back and add more staples each side. You should have all four sides stapled before attempted to staple the edges/corners. You can see that first I stapled the sides and then stapled the corners in the picture below. Then screw the seat back onto the frame. It is an easily portable foot stool that can be used to rest your feet or can be pulled up next to the fireplace to sit on to enjoy the fire. I love the bright blue animal print - much more our style than the stuffy black and beige velour like fabric.